The trollveggen Gore-Tex light Pro Jacket is a lighter version of the trollveggen Gore-Tex Pro, developed to achieve the perfect balance between weight and durability. The waterproof and breathable GoreTex ® Pro fabric ensures maximum alpine versatility and performance, while the cut gives you a great deal of movement. Long underarm venting zippers will provide you with good air flow during intense work and the storm fitted hood easily fits a helmet. The chest pockets are kept high to avoid any interference when using a harness. The jacket is an excellent choice for mountaineers who appreciate low weight but do not want to compromise on function and protection. 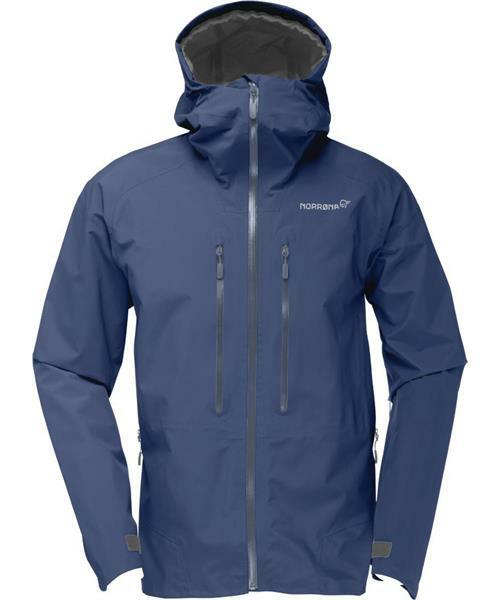 Compared to the falketind Gore-Tex this jacket is more durable and made for the big mountain enthusiasts.